We advice caution when travelling to Mozambique. 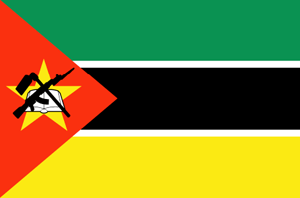 Mozambique is a country in Africa (Eastern Africa) with around 22 million citizens and a land mass of 801,590 km². We detected travel advisories from 5 sources for this country. Mozambique shares land borders with 6 neighbouring states. For this country, the Danger Index is 2.3 (average value for all countries). All countries habe been reported as somehow dangerous: South Africa (2.6), Zimbabwe (2.6), Tanzania (2.4), Zambia (2.2), Malawi with (2.0) and Swaziland with (2.0 of 5). See danger map of the region. Exercise normal precautions in Mozambique. Some areas have increased risk. Read the entire Travel Advisory. Reconsider travel to: Some northern districts in Cabo Delgado Province due to violent extremism. Exercise increased caution in: Maputo due to crime. Read the Safety and Security section on the country information page. The Ministry for Foreign Affairs and Trade Promotion (MFTP) advises Maltese citizens travelling to Mozambique that, following Tropical Cyclone Idai there is an increased risk of typhoid fever and cholera in a number of areas of the country. The situation is being monitored by the World Health Organisation. You should familiarise yourself with the symptoms and follow the advice of the National Travel Health Network and Centre.